Estrada da Baía de N. Senhora da Esperança, s/n, Taipa, Macao SAR, P.R. 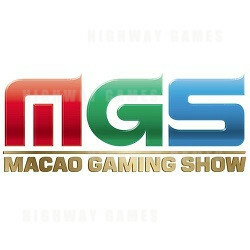 View all the latest innovations in technologies, products and services in this veritable smorgasbord of everything gaming. MGS will see a wide range of companies bringing their exceptional products or services into the limelight. Because of the wide range of exhibitor sectors, there’ll be an expectation of a wide range of buyers, which in turn will bring even more exhibitors! It really will be where the entire gaming world meets.